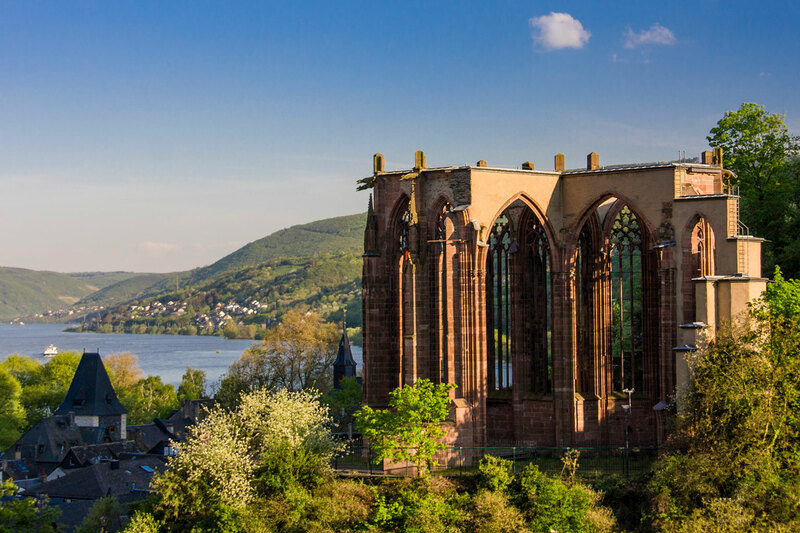 Overlooking the quaint town of Bacharach stands the Wernerkappelle (Werner Chapel), an ruined Gothic chapel named after the former “saint” Werner of Oberwesel. Bacharach is a small town located in the Upper Middle Rhine Valley (a UNESCO World Heritage Site). It is notable for its wine, which enjoys international popularity. The town is named after Bacchus (also Dionysus), the Greek god of wine. The town thrives off of tourism, although it is sleepy and authentic enough to not feel touristy. If the buildings in Bacharach look crooked, it’s partly because of the distortion of the wide angle lens, but mostly because they are indeed crooked. 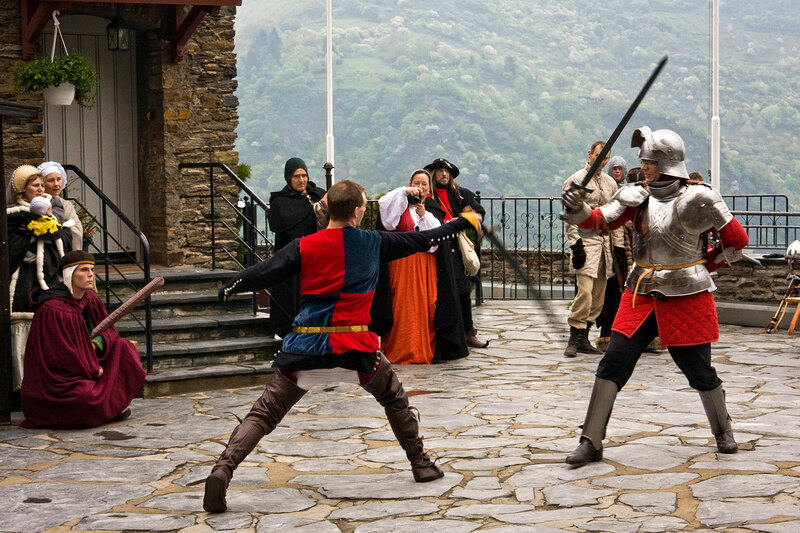 The 12th-century Stahleck Castle stands high on a hilltop, guarding Bacharach. The castle was besieged several times during the Thirty Years War and eventually destroyed, but was rebuilt in the 20th century and is now a hostel. Stahleck Castle occasionally hosts Medieval festivals. If you stay at the hostel at the right time, you’ll be in for a treat. 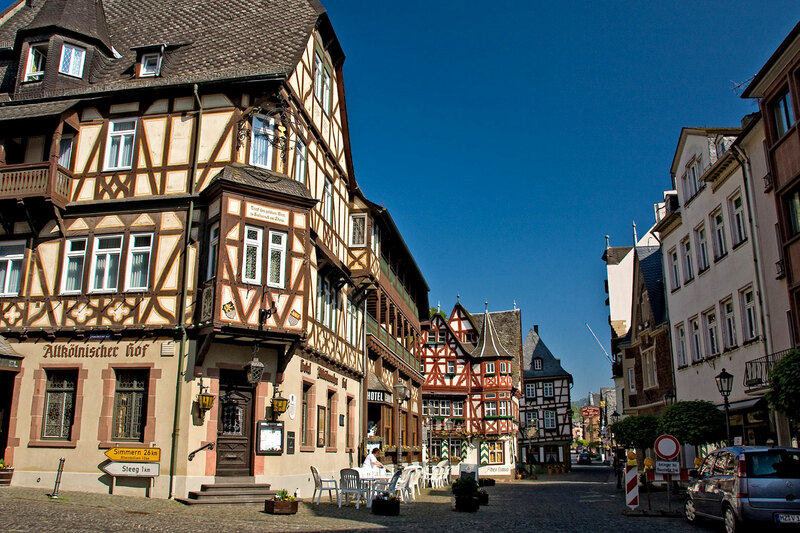 In 1287, a 16-year-old boy named Werner was found to be murdered in Bacharach. His unexplained death was blamed on the Jews, who were accused of using the blood of poor Werner for Passover observances. As a result of these allegations, a progrom was adopted, wiping out the Jewish communities from the Middle and Lower Rhine regions. The Jews were eventually exonerated by King Rudolf I who was convinced the accusations were groundless, but not before Werner’s body became the object of veneration as a martyr. 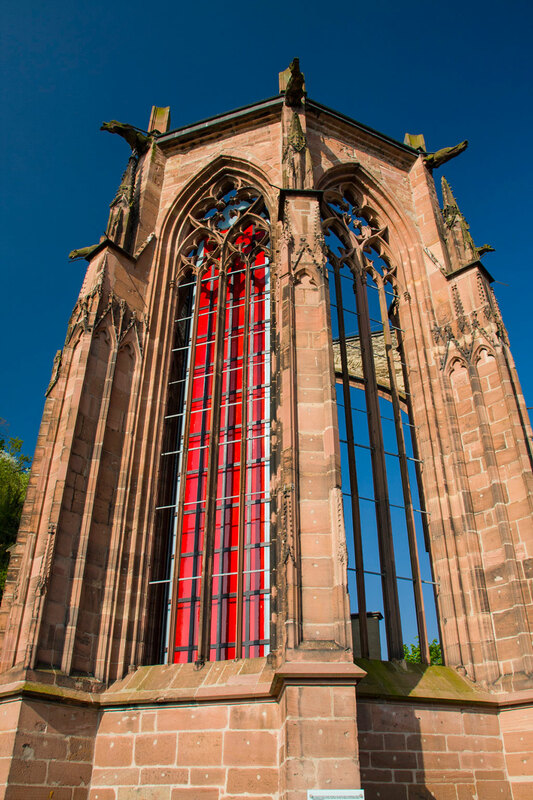 Plans for a chapel dedicated to Werner began in 1289 but the building remained unfinished after 1388 due to a decline in pilgrims. 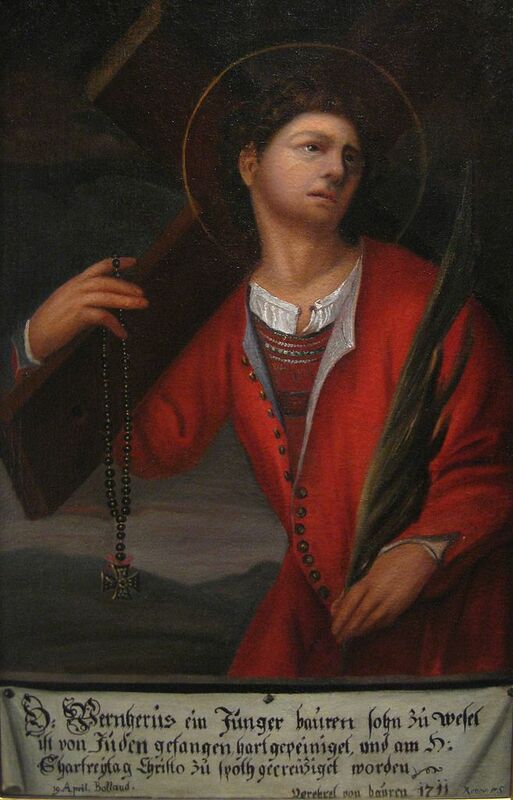 Werner was canonized as a saint in 1426-1429 and was venerated until 1963, when he was removed from the calendar of the Diocese of Trier and stripped of his sainthood. The French blew up the nearby Stahleck Castle in 1689, sending falling rocks down upon the chapel, collapsing its roof. The ruined chapel was later renovated into a skeleton monument, complete with a plaque from Pope John XXII, recognizing the wrongful accusation of the Jewish community. You start out with an obviously wrong date!!! I mixed up two of the date numbers. Thanks for pointing out the typo.